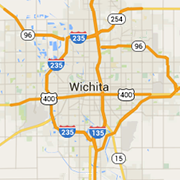 We're giving away two sets of four tickets to this weekend's Wichita Thunder games! They'll be facing off against the KC Mavericks on the 29th and The Tulsa Oilers on the 30th. Contest not open until 9 am CST, December 26, 2018. Entries received before this time may not be eligible for contest despite any confirmation message(s) received.